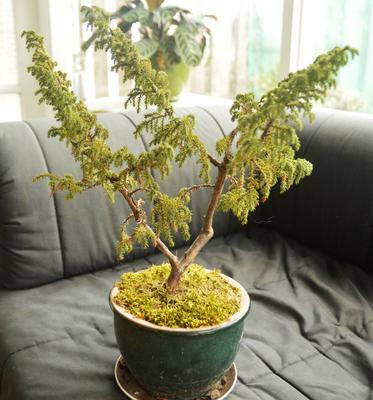 Hi all, I recently purchased this what I believe to be a banzai tree at a garage sale, unfortunately I know zilch about banzai tree's and so was wondering if anybody could help me identify its species so I can learn how to care for it properly? Hard to tell from your photo but it looks like a juniper of some sort. Water when dry, probably daily in summer and as required thru winter. 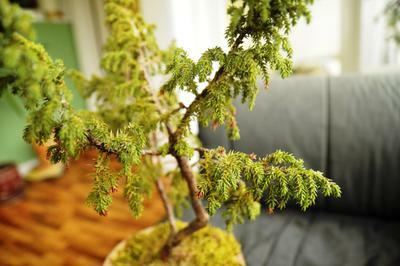 This is assuming it is planted in a well draining bonsai mix (which is what it needs to be in really). Keep outside ALWAYS and full sun at least 1/2 the day (morning best I believe). Feed fortnighty during spring and summer with liquid fert (follow instructions exactly) exept mix to 1/2 normal strength. 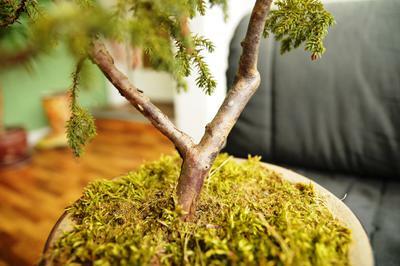 Repot in spring by removing form pot, carefully cut away 20mm of soil from bottom and sides and repot using a fine gravel or pumice (avoid actual soil as holds too much water (bonsai like to be kept moist but not swimming in water or roots tend to rot out). Needs a fair bit of work but it good you bought it. Hope that helps.